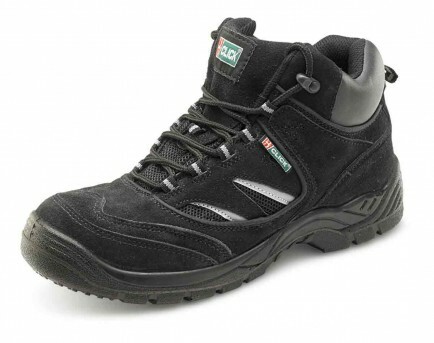 A great value safety boot in a comfortable trainer style. The CDDTB Click Dual Density Trainer Boot has a steel toe cap and steel midsole to EN345. Shock absorber heel. Anti-slip, anti-static sole resistant to oil, acids and alkalis. Heat resistant sole to 200C. Leather upper. Sizes 06 - 12. Conforms to EN345 S1P.